There is a lot of noise around what is the best way to monetize a blog or content website. 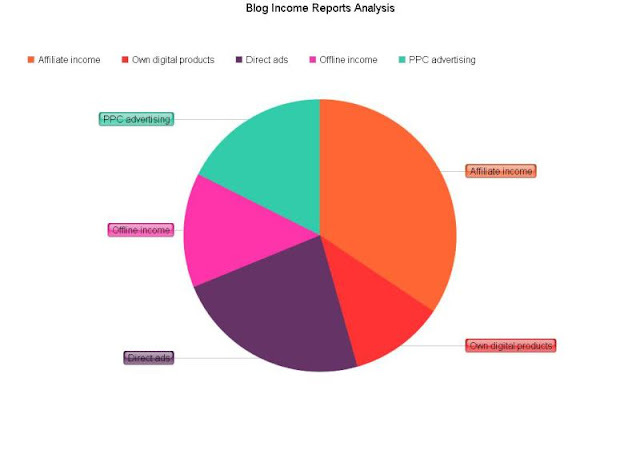 Here we take a look at income reports of popular blogs. Goal is to find out best ways to monetize blog. You can also see some discussions on blog income reports on bloggerpassion and exceptionalblogger. How will we analyse Blog Income reports? Direct ads - Income earned from directly selling ad space to advertisers or getting sponsored posts/reviews. Own digital products– Creating digital products such as eBook, Courses, app etc. and using blog as platform to sell these. Offline income – Earning income from non-online sources such as speaking, consulting etc. We will look at some of the top blogs and see how they earn their money. We will then list top 3 sources of income in the descending order of income. Goal of the analysis is to find out main sources of income for blogs. What are the leanings from analysis? As you can see, analysis of income reports of some of the top blogs brings out some important and unexpected findings. PPC advertising (e.g. adsense) is not the big money-maker for most of the blog. Affiliate income category is the clear winner. This is followed by direct ads and PPC advertising. Offline income and Selling own digital product categories are taken up by very few bloggers. But when bloggers take these income sources, they bring significant money for bloggers. You can learn a lot from these bloggers to pick up your own blog monetizing strategies.